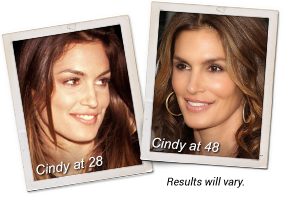 Meaningful Beauty® Ultra is Cindy's secret for ageless, beautiful skin. Discover how these breakthrough anti-aging products can work for you. Dr. Sebagh has reengineered his formulas to address some of the most challenging skin care issues that women everywhere face—including Cindy Crawford. Feeding your skin what it needs on a daily basis is essential for helping your complexion look youthful and radiant.